Family Services of Greater Vancouver’s adoption agency will officially shut down on Nov. 1, after 21 years in operation and more than 700 children placed with adoptive families. One of B.C. 's small handful of licensed adoption agencies is closing its doors, blaming a drop in the number of international adoptions. 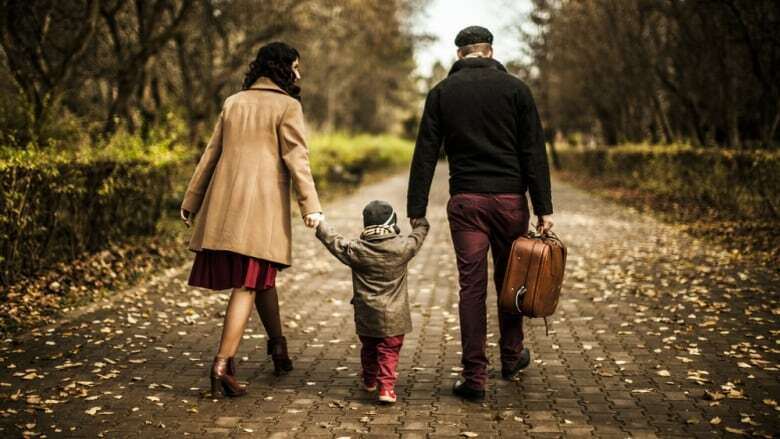 Family Services of Greater Vancouver's (FSGV) adoption agency will officially shut down on Nov. 1, after 21 years in operation and more than 700 children placed with adoptive families. "We're really saddened to have to make a decision to close the adoption agency," FSGV's vice president Jessica Denholm told CBC. Denholm added that the agency has seen a steady decline in the number of adoptions from overseas. "It's nothing that's just even happened in recent years. It's been a decline over the last, I would say, 12,15,16 years," she said. FSGV is one of just four licensed adoption agencies in B.C. Those agencies have all watched a reduction in international adoptions in the last decade. Numbers supplied by the Ministry of Children and Family Development show a drop from 117 placements in the 2012/2013 fiscal year to 77 last year. A ministry spokesperson said several factors could have contributed to the decline, including the high cost of adopting from abroad, changing legislation in other countries to favour local adoptive families and concerns about child trafficking. Some countries have even banned international adoptions altogether — Ethiopia ended the practice earlier this year, one of 25 countries that won't allow international adoptions from Canada. Denholm agreed that restrictions in other countries have made international adoptions more difficult. But she doesn't believe the high cost of international adoptions has contributed to the decline, despite the fact that it can cost more than $80,000 to adopt from some countries. "I think it's really important to understand that certainly the demand for adoptions hasn't … declined," she said. "Really this is a supply issue, if you will, of internationally adoptable children." Denholm believes there are a few other factors that have made it harder to find adoptable children abroad — mainly changes for the better in other parts of the world. That includes improved living standards, better access to contraception, increased prosperity and the gradual fading away of the stigma against having children out of wedlock. Right now, about 50 families are waiting to adopt a child through FSGV, according to Denholm. Nearly half of those parents have already provided consent to have their files transferred to other agencies. For families and adoptive parents who have completed domestic adoptions through FSGV, the files will be transferred to the ministry.